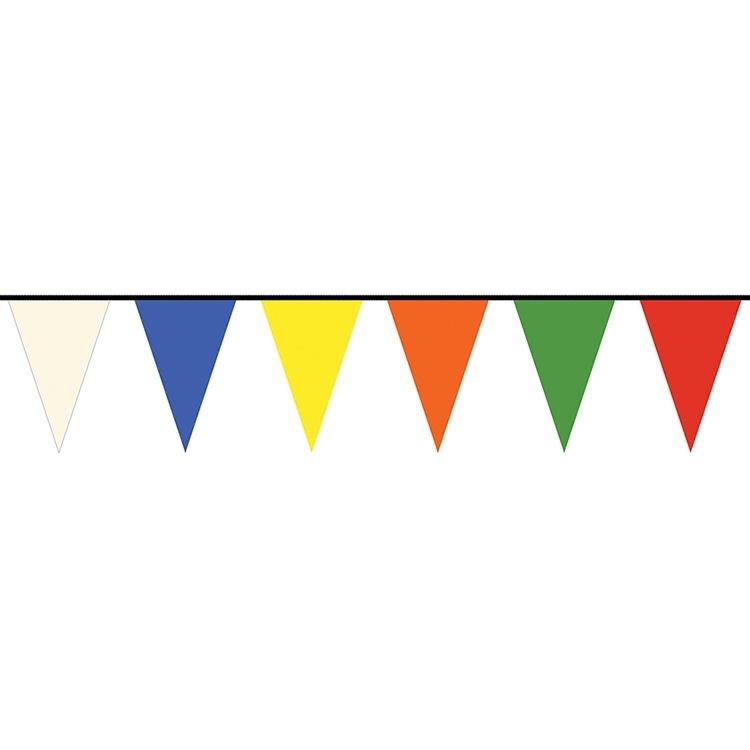 If you're looking to string up an eye-catching display for auto showrooms, sporting events, grand openings, company picnics, parades and more, these 30' multi-color pennant strings will do just the trick! These trendy decorations feature 12" x 18" triangle pennants and are made of 8 mil polyethylene plastic, which will provide a longer life span than the standard 4 mil option. Spice up your space today!